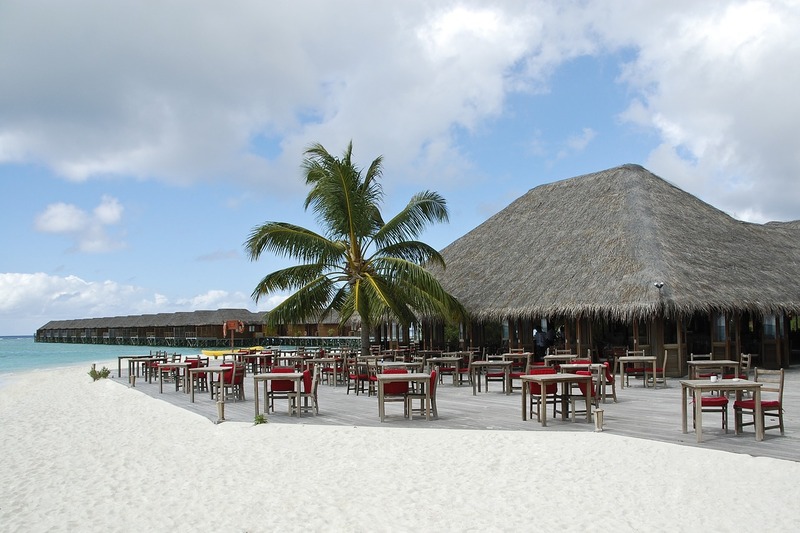 Home » Beach Bars » Seven Videos Of Maldives Beach Bars That Will Make Your Day Or …. The appeal of the Maldives is undeniable. The Indian Ocean archipelago, while a lengthy trip for individuals in the Western hemisphere, is an easily accessible paradise escape for many of those living on the other side of the world. While many of the resorts, some on their own islands, are certainly of the luxury variety, that doesn’t mean they’re too high end to provide a beach bar. Even the well-heeled like to kick off their shoes and enjoy a cocktail or two as the sun sets on another day. The resorts of the Maldives don’t disappoint in that regard. When it comes to beach bars, they do them right and with style. While they may not reflect the laidback rustic charm of man beach bars found in the Caribbean, they appeal to their clientele who, at the end of the day, want the same as the rest of us – somewhere to relax and enjoy the beach with a cold one in hand. To that end, here are seven videos of Maldives beach bars that will either make your day or are going to crank up the jealousy level. Either way, today sounds as good a time as any to finally start saving up for that once-in-a-lifetime getaway. What are you waiting for?